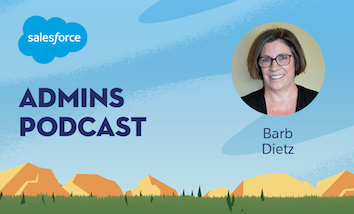 Today on the Salesforce Admins Podcast we’re talking with Tiffany Oda, Program Manager of Community at Salesforce, to find out more about some exciting Community events coming your way along with all of the amazing upcoming TrailheaDX content. Join us as we talk about how you can find a Global Gathering event happening near you and all the great content we’ve got planned. 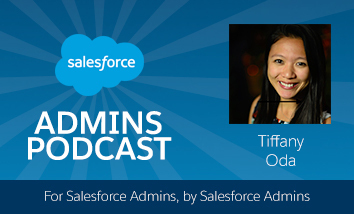 You should subscribe for the full episode, but here are a few takeaways from our conversation with Tiffany Oda. Get ready for Global Gatherings 2018. Tiffany is a Program Manager with the Trailblazer Community Team. She started last September, and she’s already gotten a chance to go all over the world and experience community events in France, India, and more. 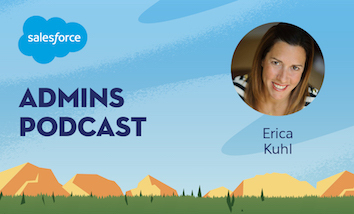 Getting out into the world and meeting the many varied and inspiring members of the community has been a crash course in what the Salesforce Ohana is all about. New Trailmix, new content, and new swag. 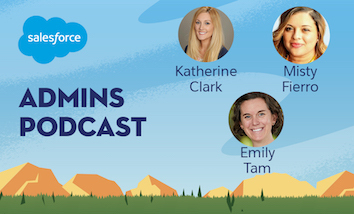 In terms of how they bring TrailheaDX to the world, “the most important thing is the content,” Tiffany says, “we created a Trailmix specifically for the Community Group Leaders who are hosting the Global Gatherings, and in that Trailmix there is curated content from TrailheaDX.” The goal is to put those leaders in the driver’s seat, giving them the resources they need to make an agenda based on what their group members want to see. “Of course, swag is amazing, so we created special swag just for the Global Gatherings,” Tiffany says, last year they had special socks and tin mugs, “and I’m actually really excited about what’s coming for TrailheaDX 2018 but I don’t want to give out any spoilers.” You’ll have to come to an event to find out what’s in store for this year! Get involved with a Global Gathering near you. So around now you might be wondering how you can get involved and find the Global Gathering nearest to you. The answer is that they’re already happening, right now! They started April 9th, and they’ll run through the end of May. They’re happening in 37 countries, “from as close to home as the Silicon Valley Dev Group to all over Europe, Asia, the Pacific, and more,” Tiffany says.